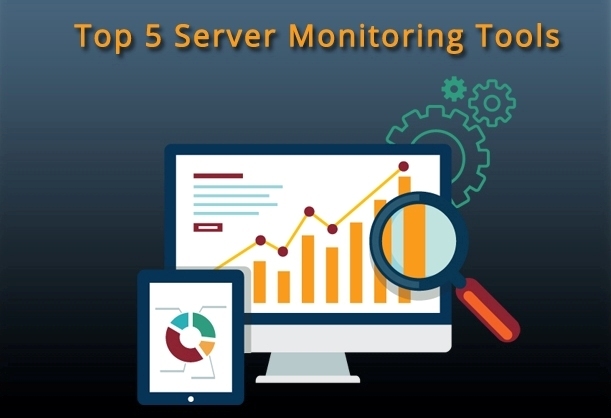 It is of paramount importance for each and every IT Infrastructure business to equip their systems/servers with effective and reliable monitoring tools. It doesn’t matter whether you are running a small scale business or an IT enterprise; if you haven’t setup and configured the right monitoring devices for your servers, chances are that your IT Infrastructure setup can cause a serious havoc. There are many software available in the market, both free/ open source and even paid versions to help monitor your infrastructure and notify for any failures. 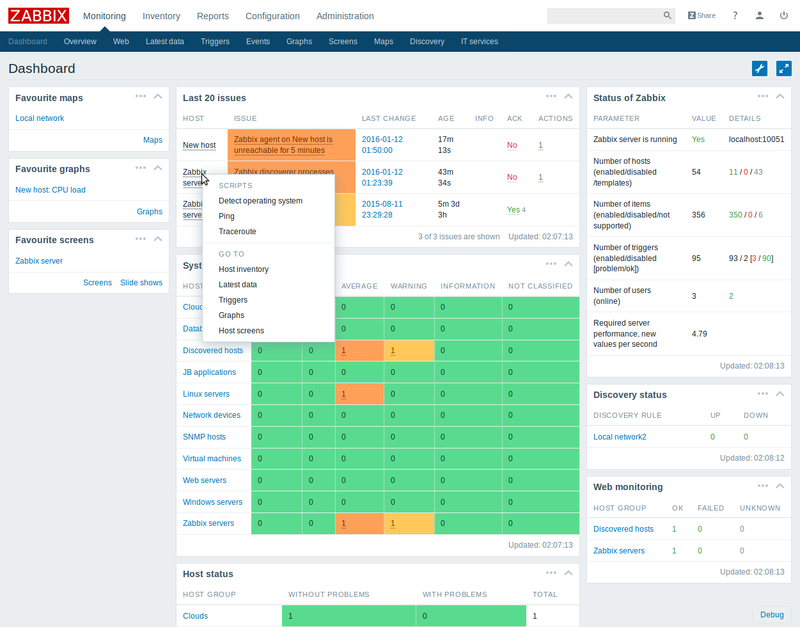 We have compiled a list of 5 best open source IT Infrastructure monitoring software tools that suits you the best. Nagios or Nagios Core helps you monitor your systems, networks and infrastructure. 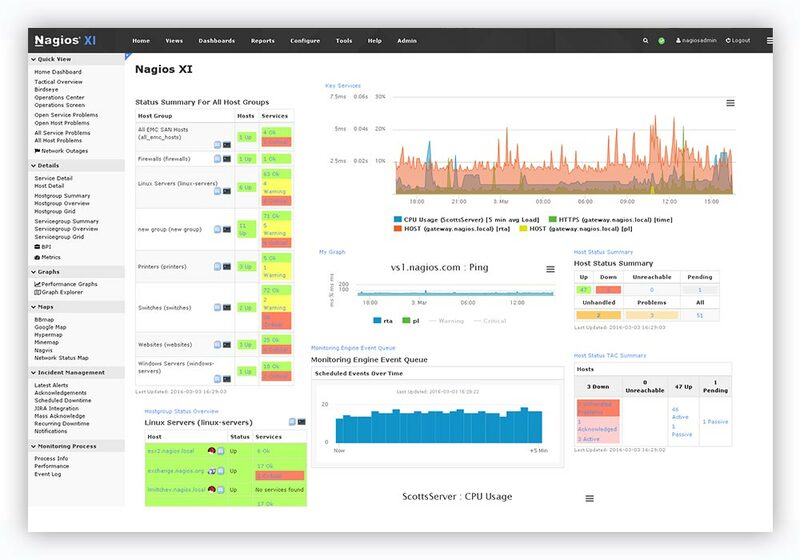 Nagios runs on a Core 4 monitoring engine which provides a high level of performance by consuming lesser server resources. You can integrate Nagios with almost any type of third-party software. Zabbix is an enterprise level software which could monitor everything from the performance of servers, network equipment to web applications and database. It’s a server agent system, where you require to install the agent on a server to be monitored by Zabbix server. It supports SNMP and provides better reporting. 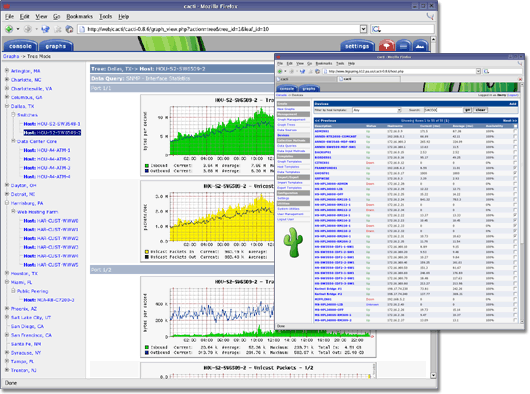 Cacti is an open source network monitoring tool which has versions for both Linux and Windows OS. It helps us to generate network data related graphs through the RRDTool. Cacti require MySQL, Apache or IIS that supports PHP. 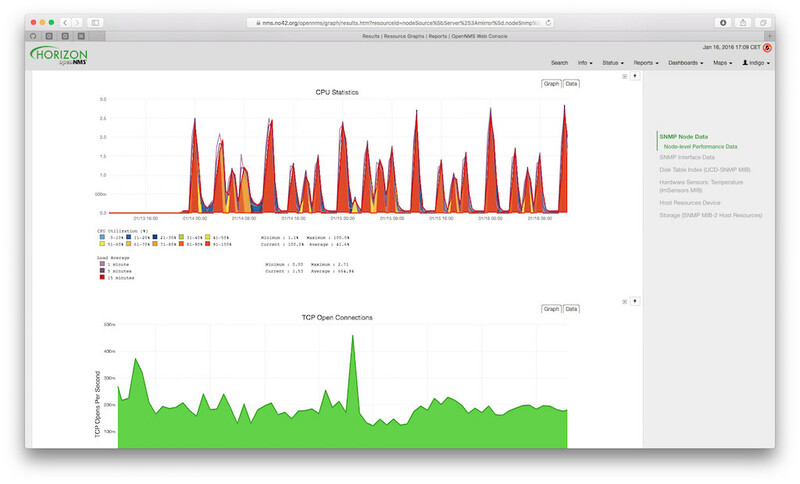 OpenNMS helps you build monitoring solutions for any IT Infrastructure. You can discover layer two network topologies in your network. It has an in-built reporting system with a beautiful dashboard and GUI. It can also be installed in Docker. 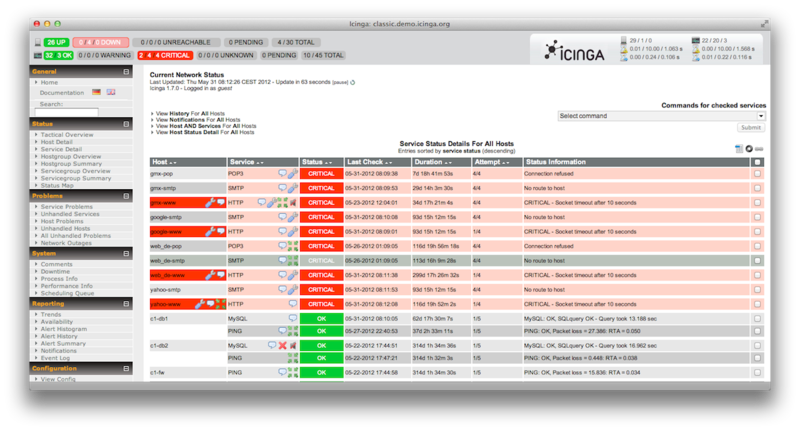 Icinga monitoring tool allows you to monitor all available systems in your network, and alerts you in case of an alarm in various ways and provide SLA reporting. They provide cross-platform support for various operating systems. All the above-listed monitoring software’s are absolutely free to download and can help monitor various aspects of your IT Infrastructure.